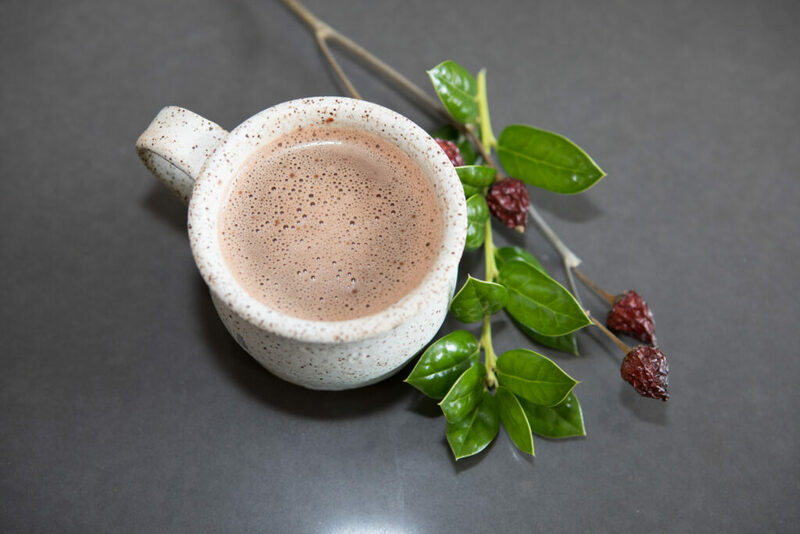 With January well underway, we’re delighted to share a toasty treasure from the Folger’s collections: an early modern recipe—and a wealth of information about its origins—for hot chocolate. Hot chocolate, brought to Europe and Britain from the Americas, was hugely successful in the early modern period, and it hasn’t lost its appeal since. This begins a series of posts on early modern recipes from the Folger vaults, each associated with a well-known chef or food influencer, that we’ll be sharing in the months ahead. Four of the recipes, including this one, have been developed by Marissa Nicosia, based on a recipe from the Folger archives; Nicosia is an Assistant Professor of English at Penn State Abington and author of the blog Cooking in the Archives: Updating Early Modern Recipes (1600-1800) in a Modern Kitchen, where you can find even more information about these adaptations. A fifth recipe, associated with Hercules, a chef kept in slavery by George and Martha Washington, is by Michael Twitty, the James Beard award-winning author of The Cooking Gene: A Journey through African American Culinary History in the Old South. William Hughes. The American Physitian. 1672. Folger Shakespeare Library. Select a page to see it at a larger size. 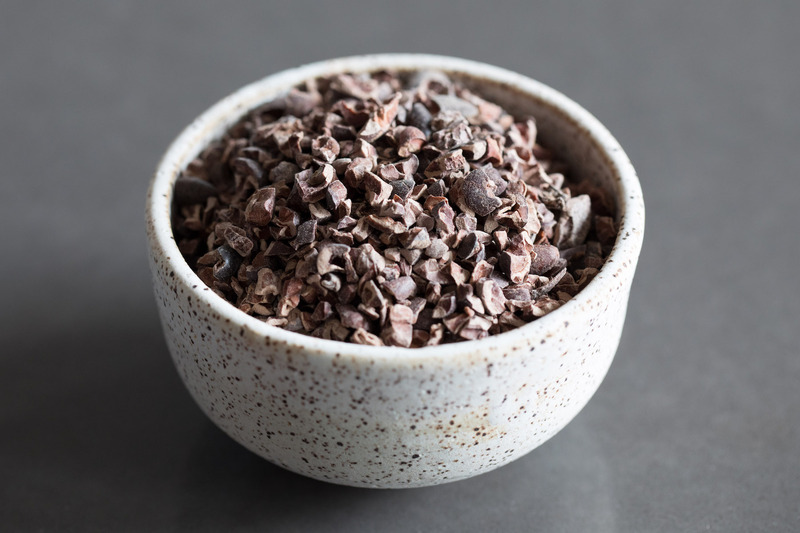 Cocoa nibs. Photo by Teresa Wood. Chopping chocolate. Photo by Teresa Wood. chocolate, milk, water, grated bread, sugar, maiz [corn flour], egg, wheat flour, cassava, chili pepper [hot and sweet varieties], nutmeg, clove, cinnamon, musk, ambergris, cardamom, orange flower water, citrus peel, citrus and spice oils, achiote [annatto seed], vanilla, fennel, annis, black pepper, ground almonds, almond oil, rum, brandy, [and] sack. Ingredients. Photo by Teresa Wood. 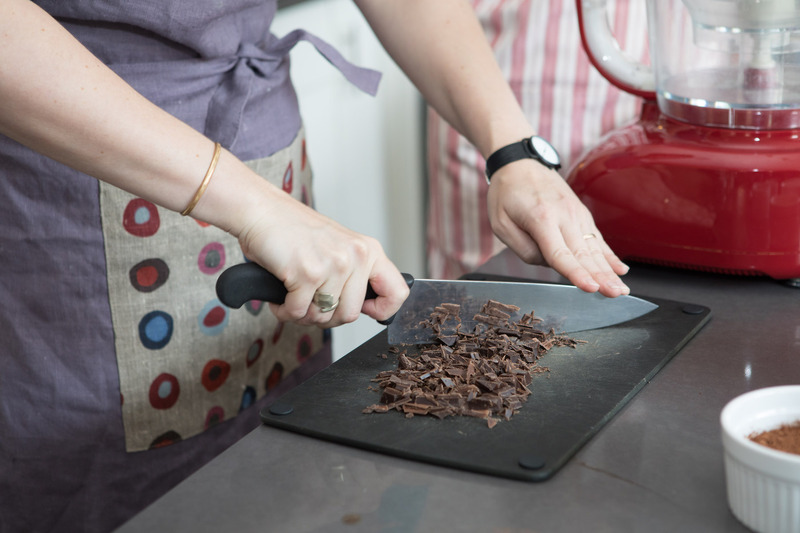 Toast the cocoa nibs in a shallow pan until they begin to look glossy and smell extra chocolatey. 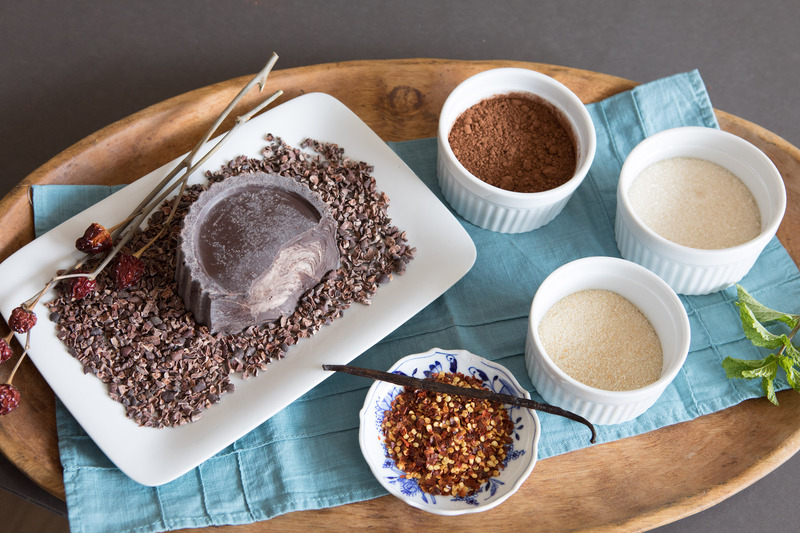 Combine all ingredients in a food processor, blender, or mortar with a pestle. 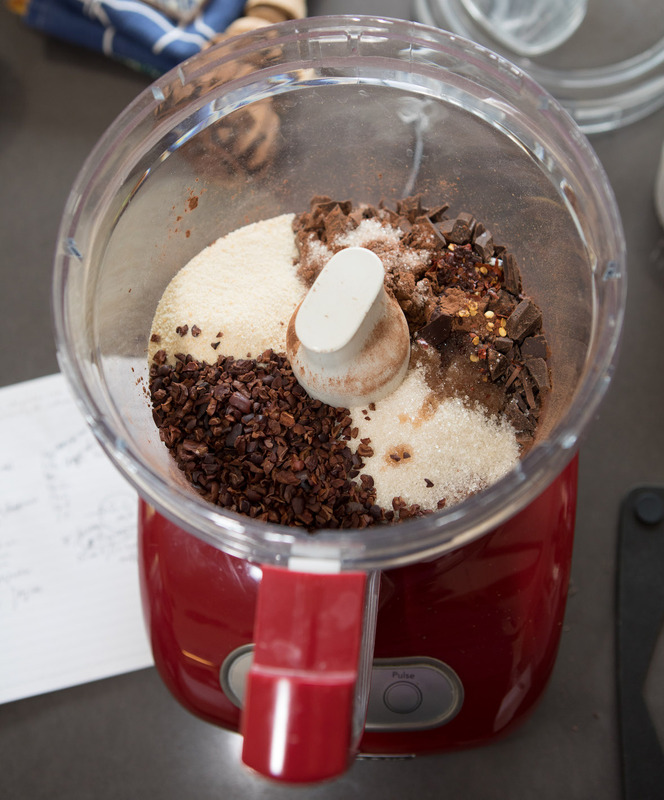 Blitz or grind until ingredients are combined into a loose mix. Heat the milk in a pan on the stove or in a heatproof container in a microwave. Stir in three tablespoons of mix for each cup of heated milk. Finished hot chocolate. Photo by Teresa Wood. The information and ideas in this post about chocolate and the knowledge exchanges between Europeans and indigenous Americans are inspired by Marcy Norton’s Sacred Gifts, Profane Pleasures: A History of Tobacco and Chocolate in the Atlantic World (2008).